“Disenchantment,” “The Simpsons” creator Matt Groening’s animated series for Netflix, is finally moving along, with the streaming service ordering 20 episodes and announcing the voice cast. The series takes place in a crumbling medieval kingdom called Dreamland and will follow the lives of a princess with a drinking problem named Bean, an elf companion named Elfo and her personal demon Luci. 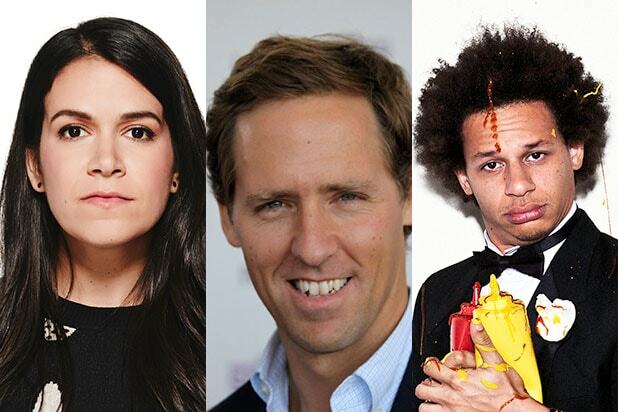 Abbi Jacobson (“Broad City”) will star as Bean, Oscar-nominated screenwriter and actor Nat Faxon will play Elfo and Eric Andre (“The Eric Andre Show”) will voice Luci. A staple of voice actors from Groening’s past works, including from “Futurama,” will also be lending their voices. This list includes John DiMaggio, Billy West, Maurice LaMarche, Tress MacNeille, David Herman, Matt Berry, Jeny Batten, Rich Fulcher, Noel Fielding and Lucy Montgomery. Netflix ordered 20 episodes, but will be airing it ten at a time starting in 2018. A deal between Groening and Netflix was first announced in January 2016 for a new animated series, but with few details. “Disenchantment” is produced by The ULULU Company for Netflix, with Groening and Josh Weinstein serving as executive producers. Rough Draft Studios, which animated “Futurama,” will also be doing animation here. "The Simpsons" has been on for 30 years, and in that time, it has become an essential part of the pop culture lexicon. Here are 12 essential gags, quote and moments that have come to permeate the Internet. Applicable to nearly everything online, this classic comes Season 13 of "The Simpsons," in the episode "The Old Man and the Key." Ralph Wiggum is the dumbest kid in Springfield, but the public school system is definitely leaving him behind. The quote comes from the Season 6 episode "Lisa on Ice." Bart famously sent Sideshow Bob to jail for trying to frame Krusty. In the Season 5 episode "Cape Feare," Bob tried to get his revenge. But we're all Bob stepping on 20 rakes once in a while. Watch the clip. Perfect for moments of intense panic, the PTA disbanding (or actually not) was a highlight of Season 6 when it appeared in the episode "The PTA Disbands." Check out the clip. Principal Seymour Skinner decides he can't possibly be the out-of-touch one in Season 5's "The Boy Who Knew Too Much." The meme is perfectly deployed all over the Internet to make fun of anyone who can't seem to see the obvious. Abe Simpson perfectly encapsulates what getting old feels like in Season 7's "Homerpalooza." In the age of social media, that seems to happen faster than ever. The Comic Book Guy's "Worst [whatever] ever" quote has been used quite a bit both on and off "The Simpsons." This moment from Season 8's "Itchy & Scratchy & Poochie" show goes a step further to capture Internet commenter culture even to this day. Anchorman Kent Brockman chooses instant capitulation when he thinks space ants are invading in the Season 5 episode "Deep Space Homer." And we, for one, welcome our new meme overlord. Watch the clip. Sometimes we all need an obvious economics lesson. Homer gets one from his brain in Season 5's "Boy-Scoutz 'n the Hood" episode. It's a good reminder. Watch the clip. McBain is possibly the worst stand-up comedian ever in "A Star is Burns" in Season 6. But he did give us this perfect meme for when a gag goes right over someone's head on social media. It's especially good if the person is also annoying. Watch the clip. It's shocking how useful this meme, from "Homer Loves Flanders" in Season 5, has become. Any time you need to exit a situation as quickly and gracelessly as possible, it's there for you. Here's the clip for context. Doubting the power of "The Simpsons"? Check out this list of times the show has managed to predict the future, from the Super Bowl to the Trump presidency.